PASIG, PHILIPPINES (March __, 2019) – February just finished, and the sun is rising a bit earlier than before, just as it gets hotter and hotter each day. Summer is definitely here, and everyone is excitedly listing down things they would like to finally do for the season, and fix their schedules to accommodate all the trips, dates, and training regimens. Trust, then, that there would be a need for an incredible summer side-kick to make the experience a thousand times more ZENsational than before. Luckily, with ASUS’ widely acclaimed smartphone brand, there is a ZenFone for every summer lifestyle – just choose among the 7 in our list below! At the price of PHP 14,995 at 6GB RAM (and PHP 12,995 for the 4GB variant), the ZenFone Max Pro M2’s5,000 mAh battery capacity that is coupled with a Qualcomm™ Snapdragon™ 660, can definitely keep up with the adrenaline of a workout routine without the dread of an empty battery. Perfect for those who prefer to listen to their playlists, podcasts, or even stream videos and movies while on the treadmill. Others dare to learn more and pursue their passions during summer. Titled for now as the Dreamers, these are the ones who are brave enough to go beyond their comfort zones for something new. For activities such as theirs, there is often a need for a friend who will stand by them no matter what – which is why theZenFone Max M2 can be their best bet. The ZenFone Max M2, at the price of PHP 8,995, is the kind of battery king for all kinds of activities that will not break the bank. It comes with a whopping 4,000 mAh battery capacity and Qualcomm™ Snapdragon™ 632 that can help anyone power through any summer assignment or even business activities. Its 13MP + 2MP dual bokeh rear camera is also great tool for taking photos of references and works just as fine as its8MP front camera, which is amazing in demonstrating personally made products on IG Live and Stories. Mobile Gamers can also experience a summer of limitless gaming; especially those who wish to become professional esports players in the future. The ZenFone Max Pro M1 will, without a doubt, help them in their training to make final team drafts, as well as aid them in their soon-to-be careers. With the 4GB RAM variantavailable now for PHP 8,995, gamers will experience unlimited power with the solid combination of a 5,000 mAh battery capacity and a Qualcomm™ Snapdragon™ 636, perfect for their gaming needs, without burning a hole into their wallets. Moreover, they’re sure to have an immersive adventure with the ZenFone Max Pro M1; especially with its 18:9 FHD+ display and its NXP Smart Amplifier. 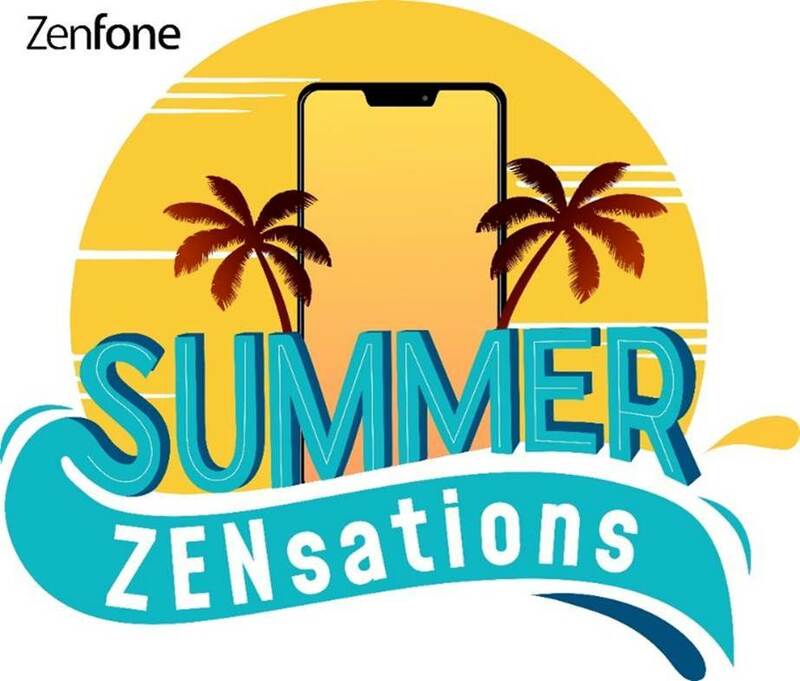 ASUS Philippines will also be hosting the #SummerZENsations online photo contest, where ZenFone users are challenged to take and upload photos that define the best of the summer season, following a specific theme. Interested participants are to invited to check the full mechanics here for the first theme here:https://www.facebook.com/notes/asus/summer-zensations-online-contest-week-1-fitness/2614859475196257/.Best and most creative photos get to win a ZenFone Live L1 each week. For more information on the ASUS ZenFone Summer ZENsations, the ZenFones Summer Sale Madness, the ASUS ZenFones, and other incredible products, head over to ASUS Philippines’ official Facebook, Instagramand Twitter pages and the ZenTalk forum.